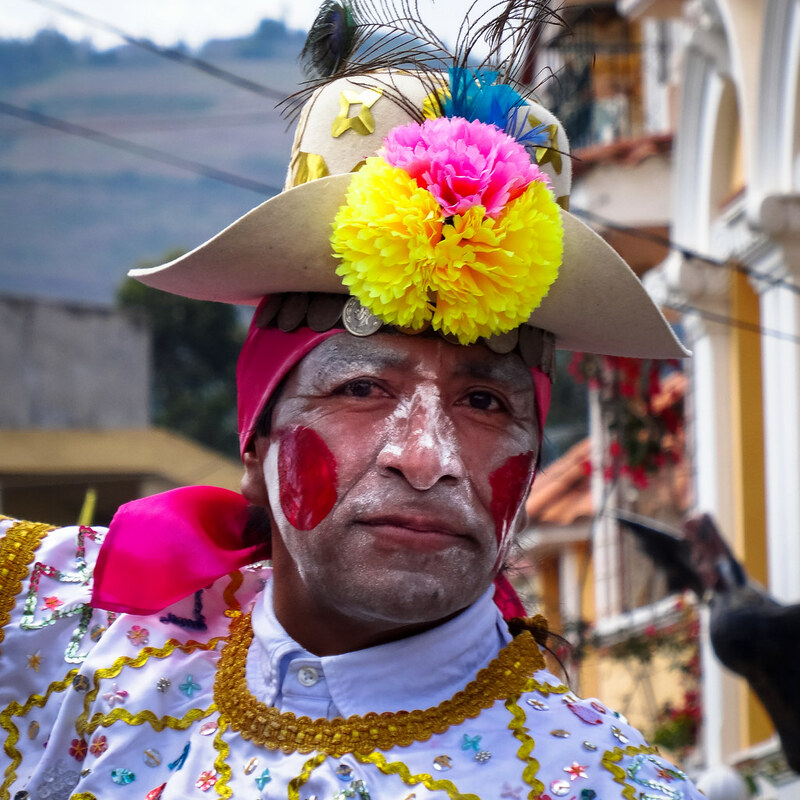 After fighting for independence from Spain, Simon Bolivar managed to put together a 'greater Colombia' in the north of the Latin American continent. In 1830, this fell apart in three countries, Ecuador, Colombia and Venezuela. 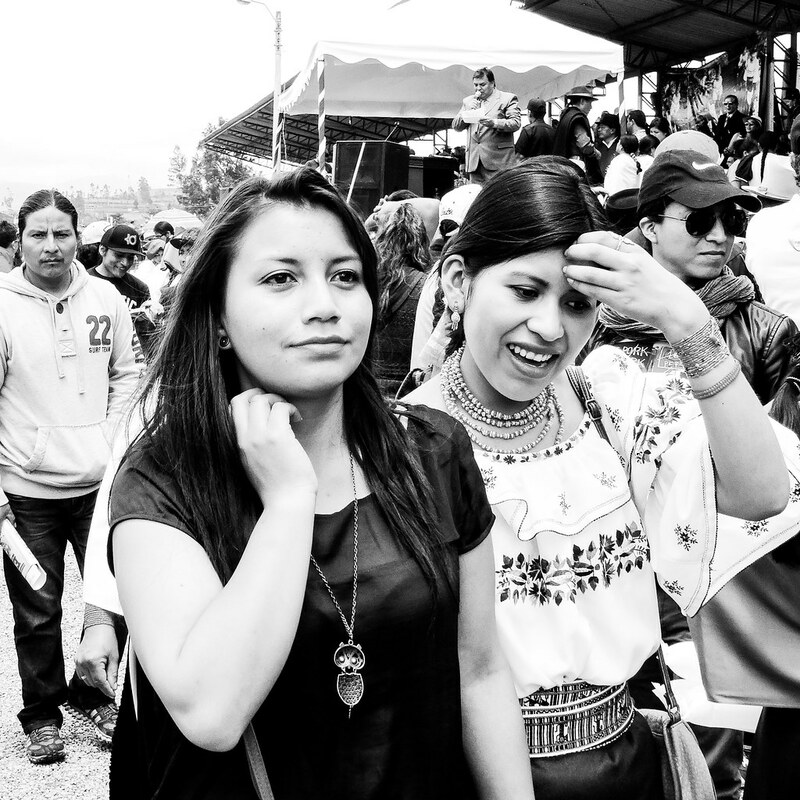 Slowly, Venezuela and Colombia very much started to operate as extensions of the American economy and were exploited as such. 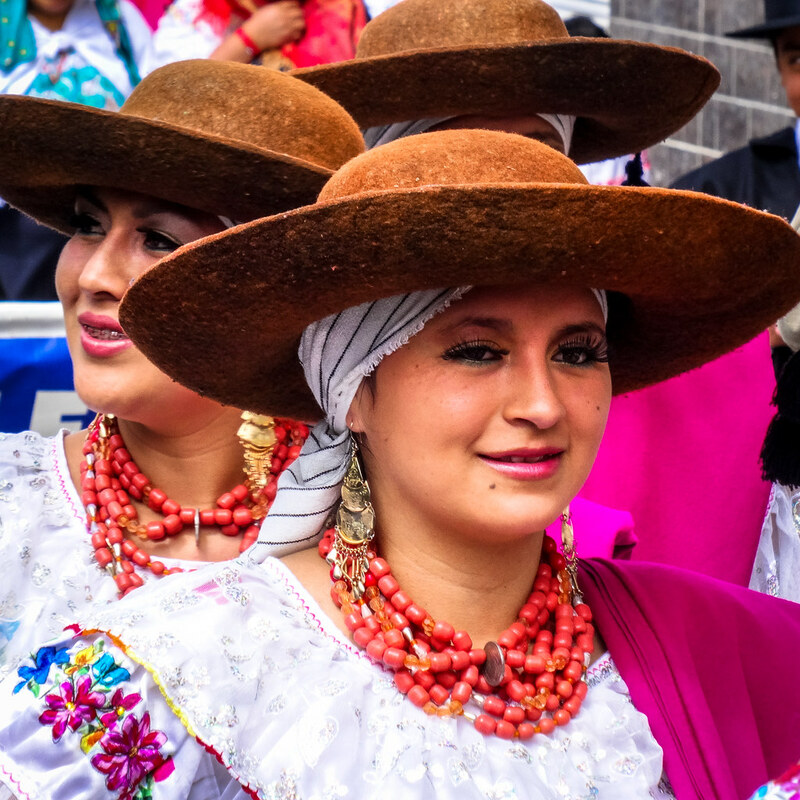 Then, Colombia was split up, by the US, into Colombia and Panama, to give the US control over the Panama canal. 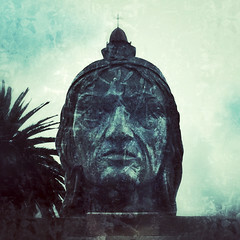 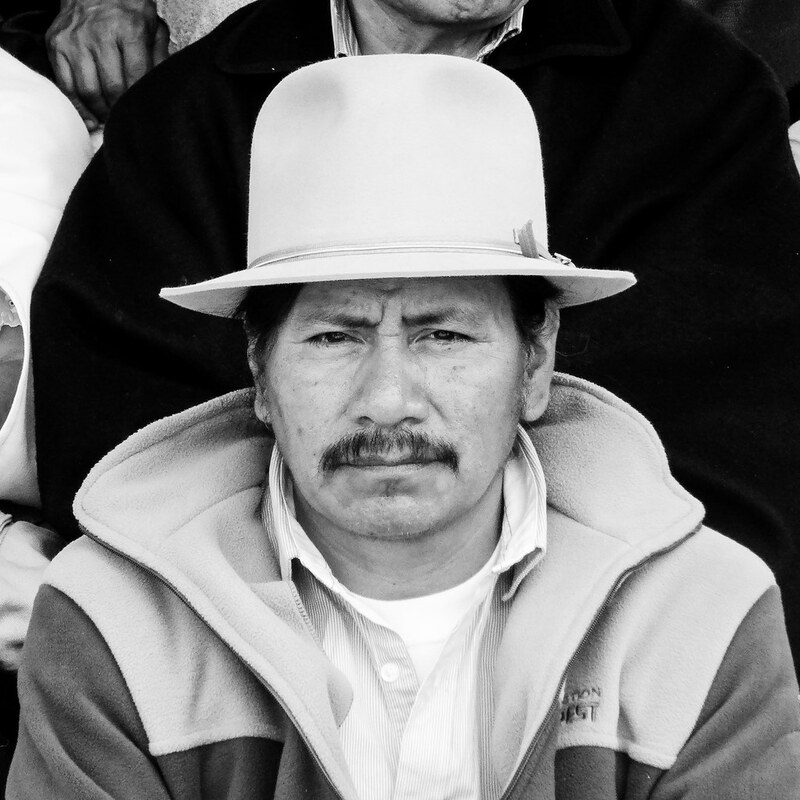 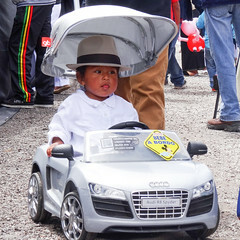 Ecuador, somewhat less exploited and with a much larger indigenous population, slowly drifted onto a less successful but perhaps also more tranquil course. 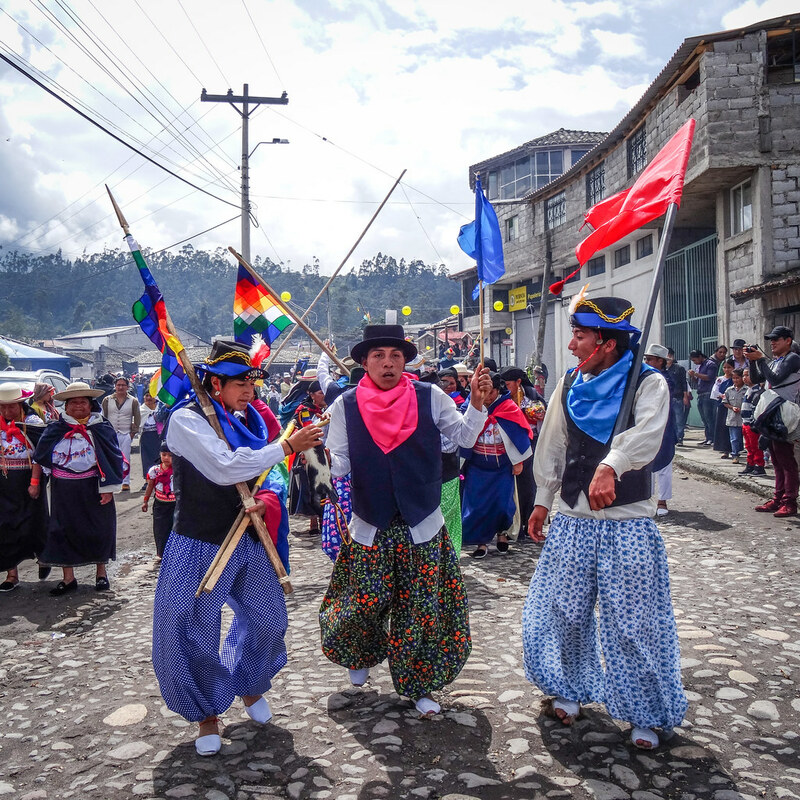 However, in 1999, after the Ecuadorian currency took a nose dive, the country replaced its Sole with the U.S. Dollar, meaning the U.S. now has a vested interested in Ecuador not reverting to its own currency. It makes you wonder how all this ties into the obvious anti-American sentiment exemplified by Assange being able to stay within the country's embassy in London. 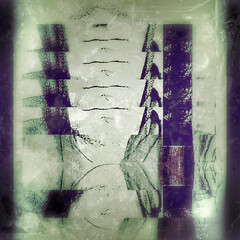 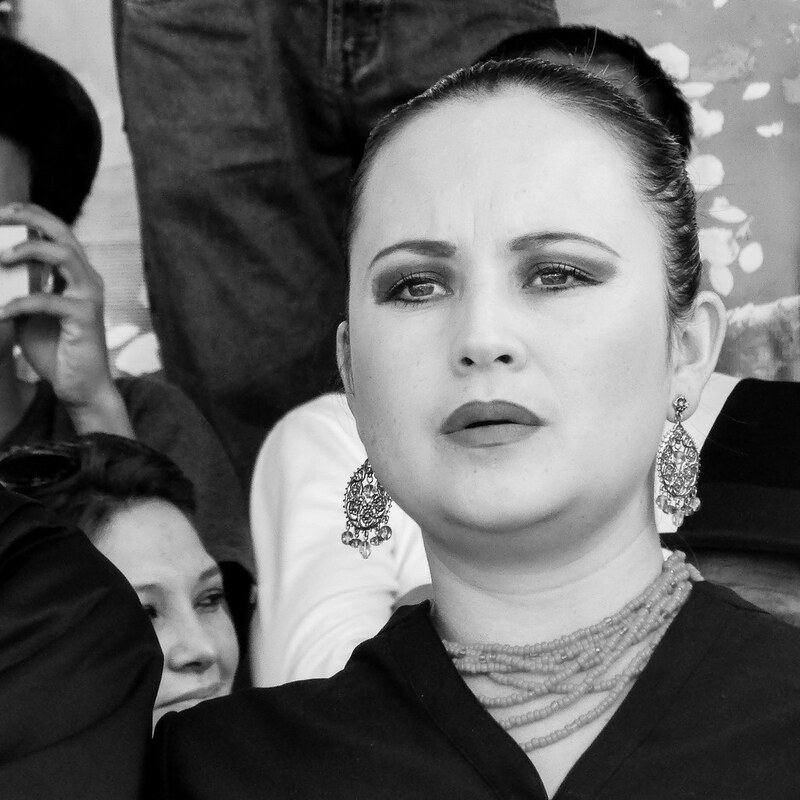 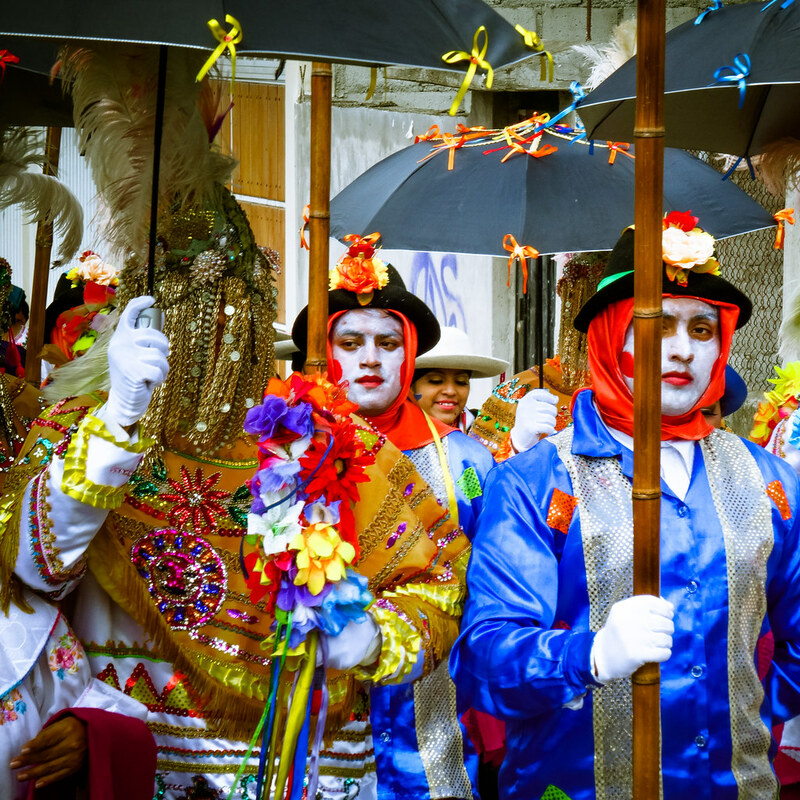 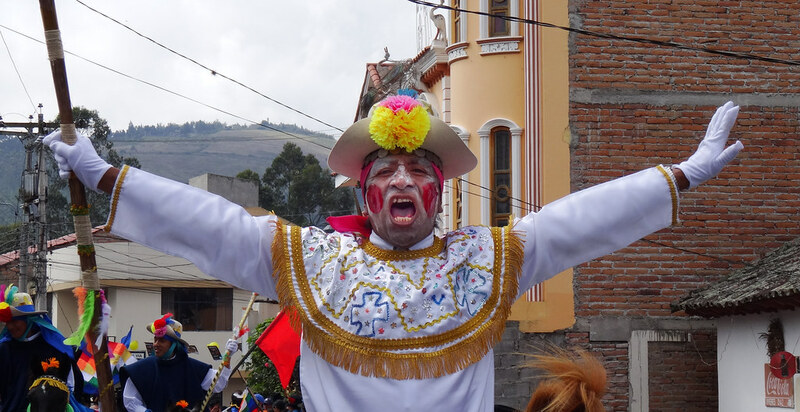 On my bus from the border to Otavalo, a handsome young man doused in cologne and wearing a shiny suit started preaching. Or, that's what I first thought. 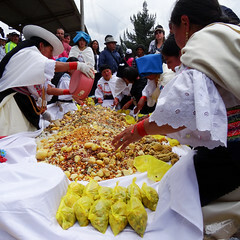 It turned into a sales pitch for food supplements, him talking about a wide range of subjects, including Hugo Chavez' death of cancer, specific local dishes and a host of diseases. I stayed in a small village just outside of. Otavalo, where, on my first morning, I was woken up by fireworks and big bands. 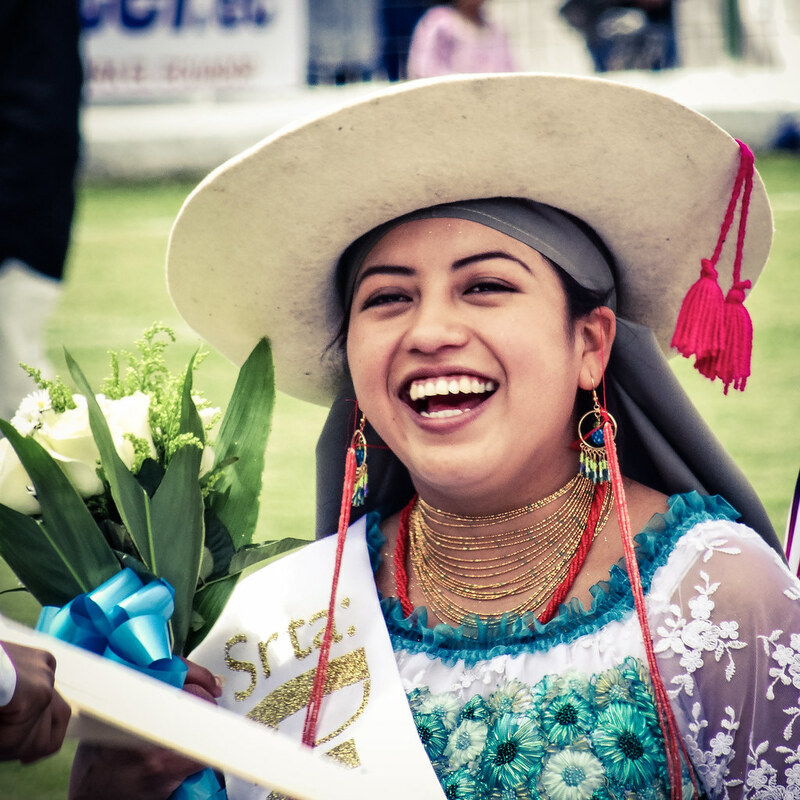 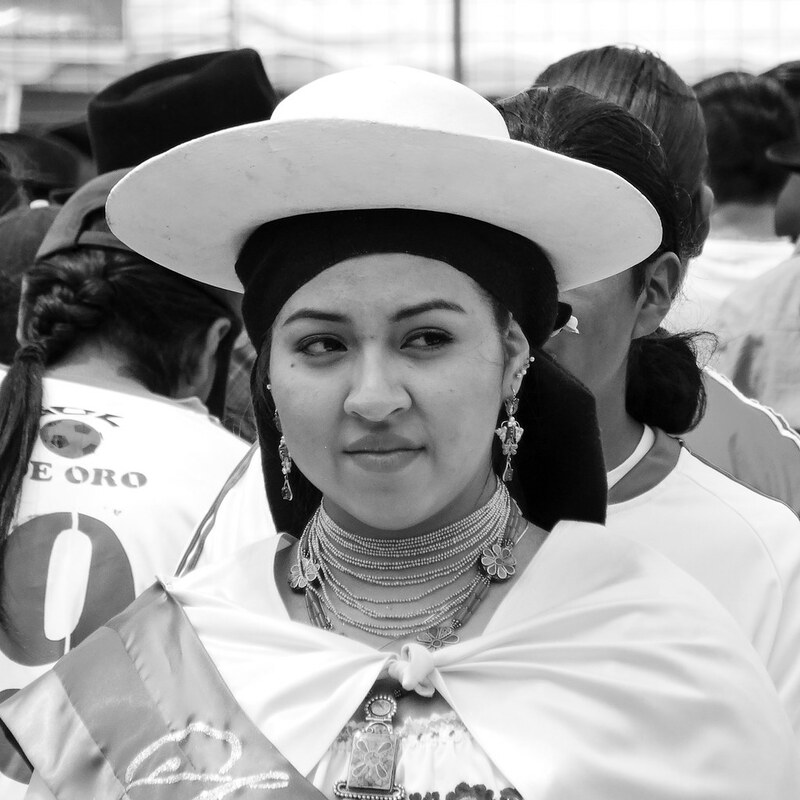 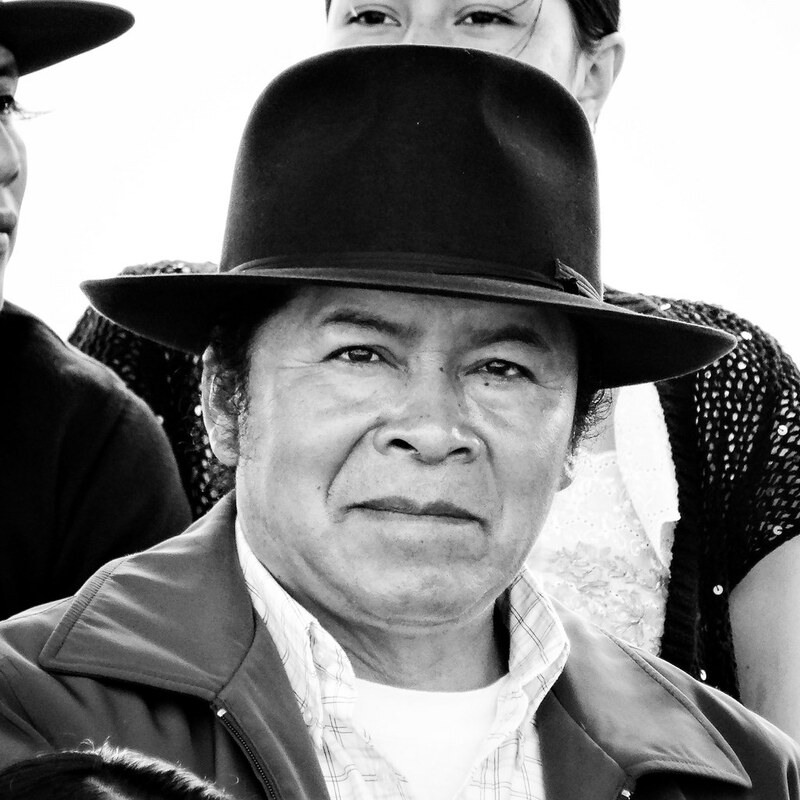 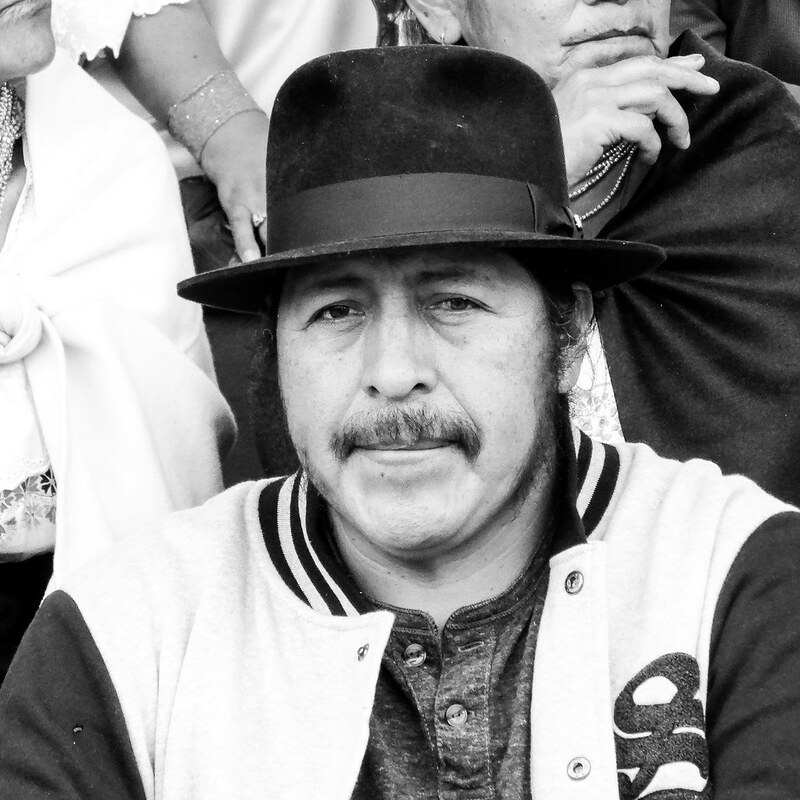 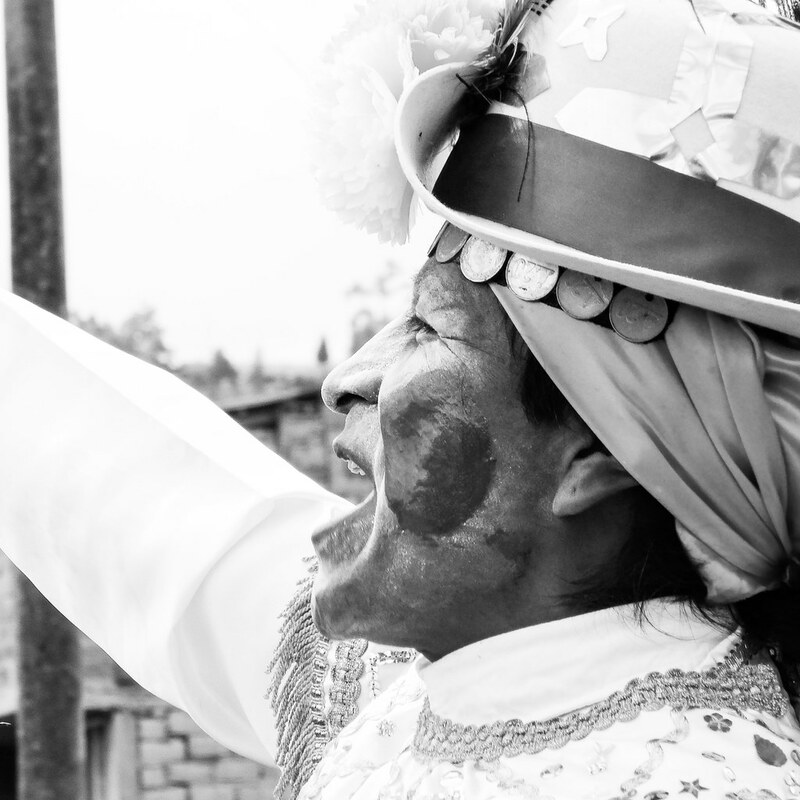 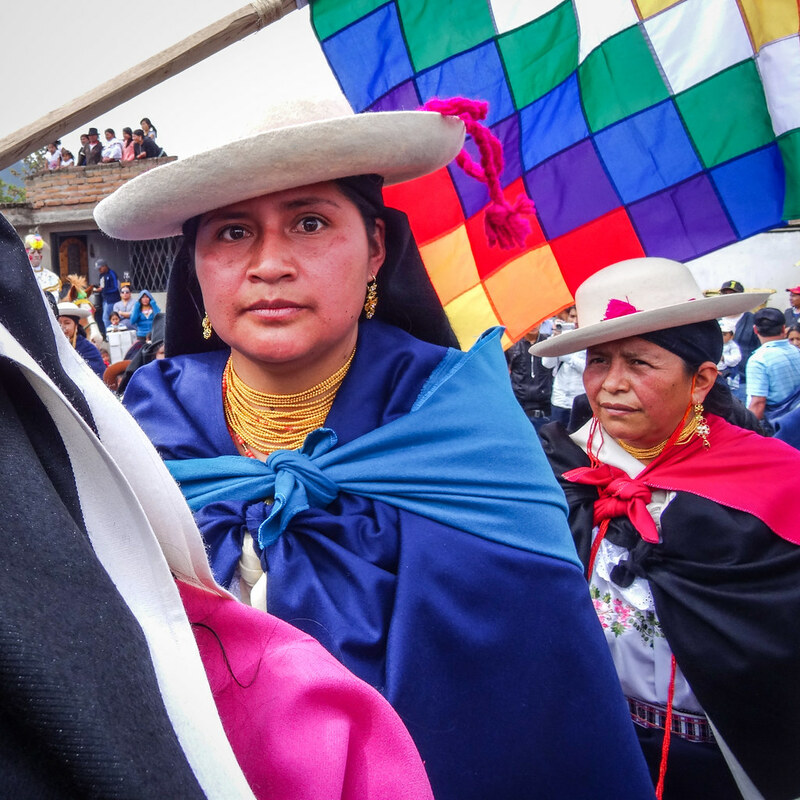 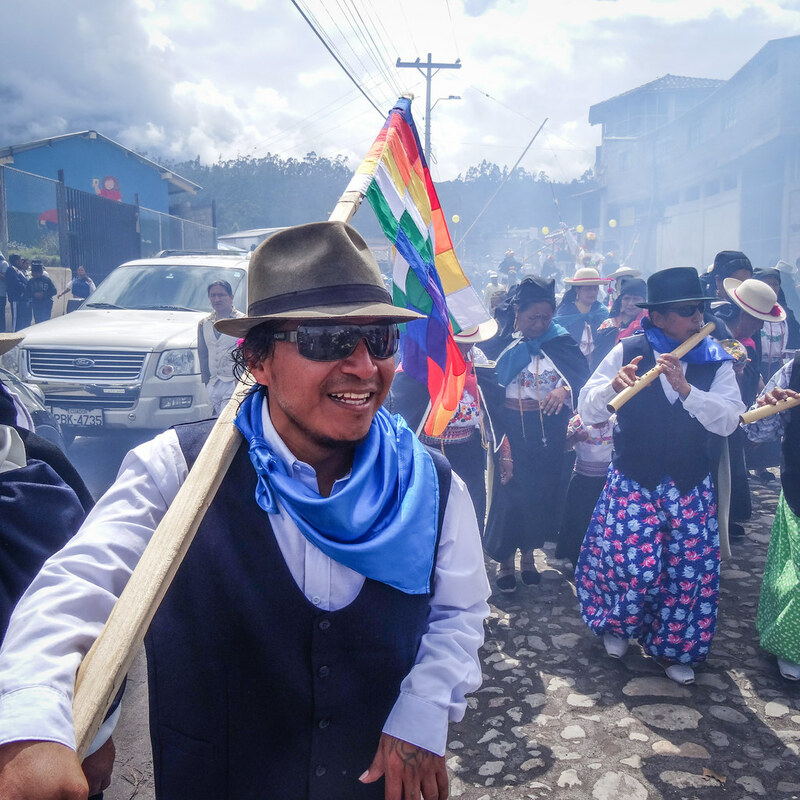 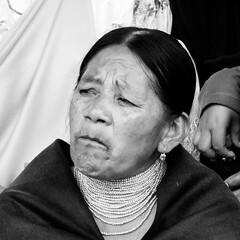 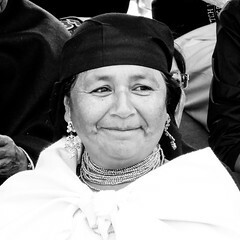 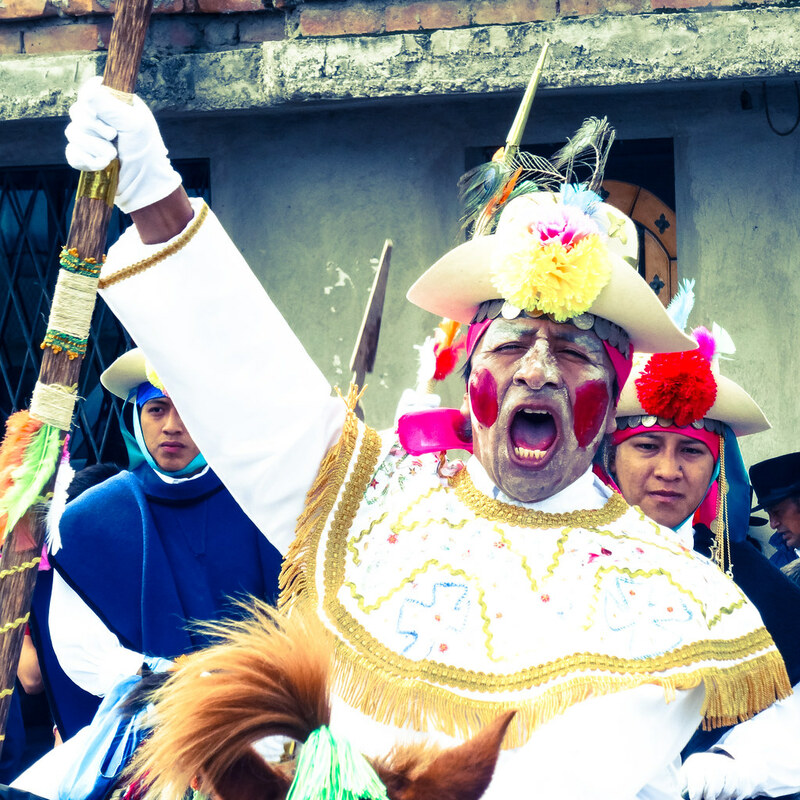 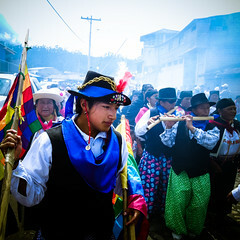 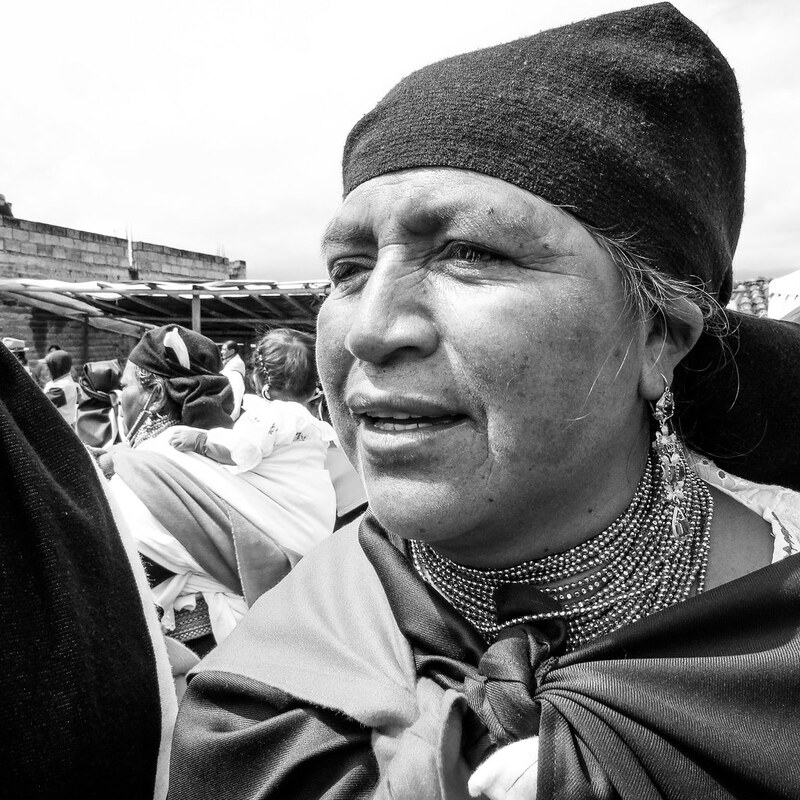 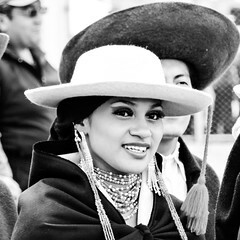 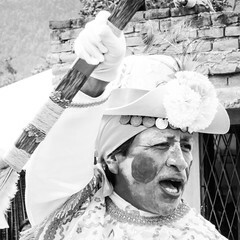 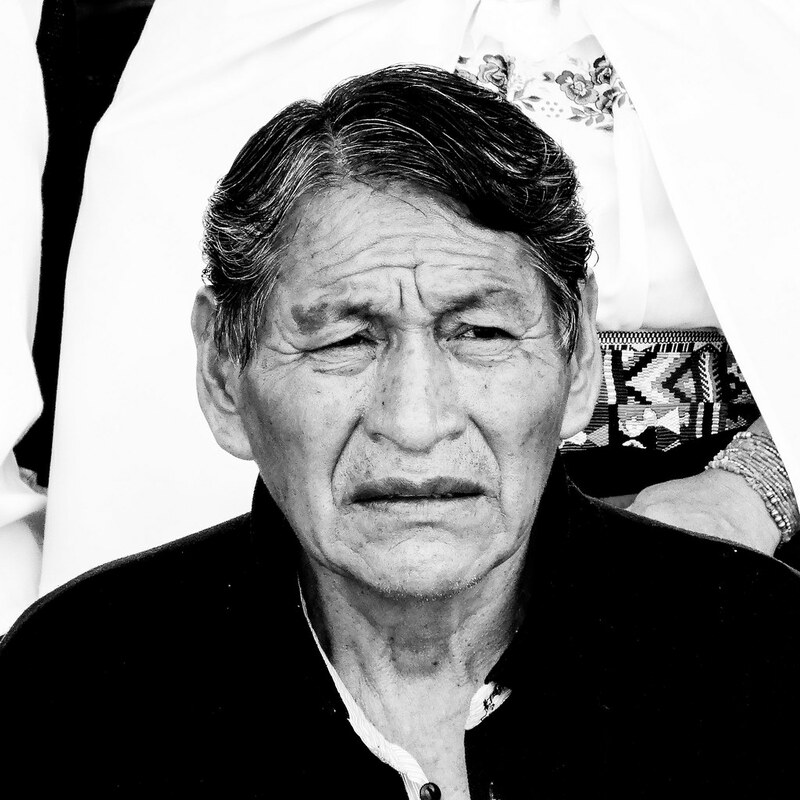 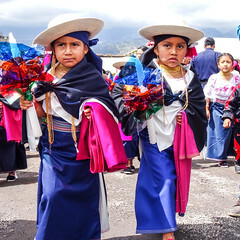 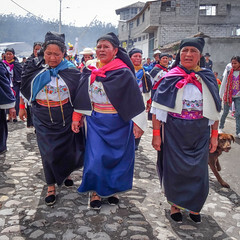 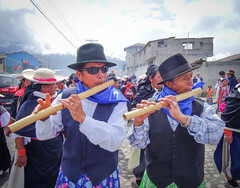 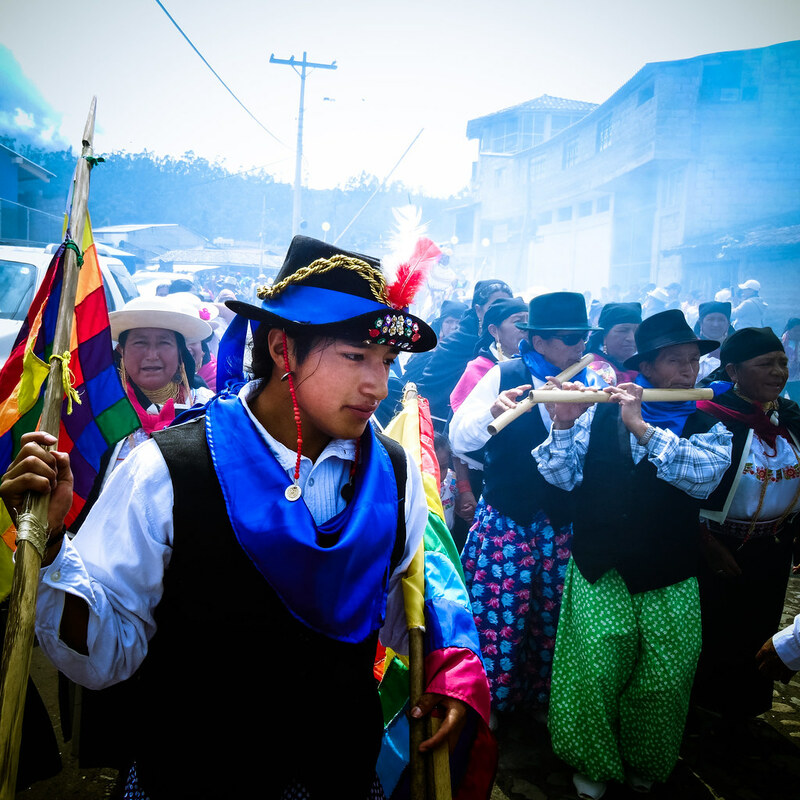 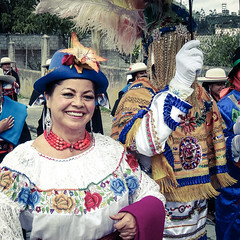 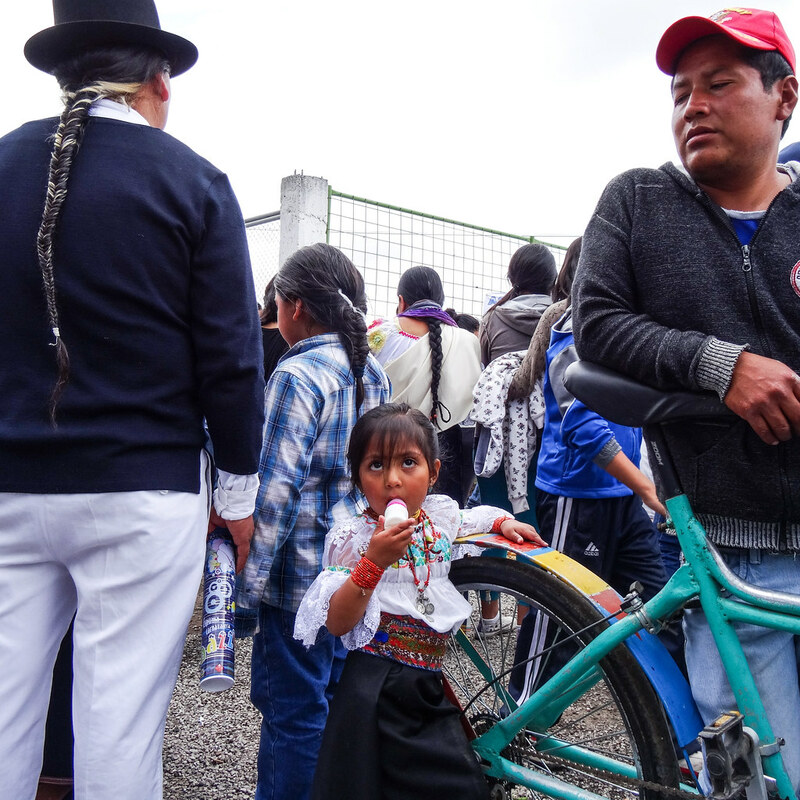 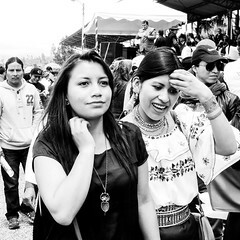 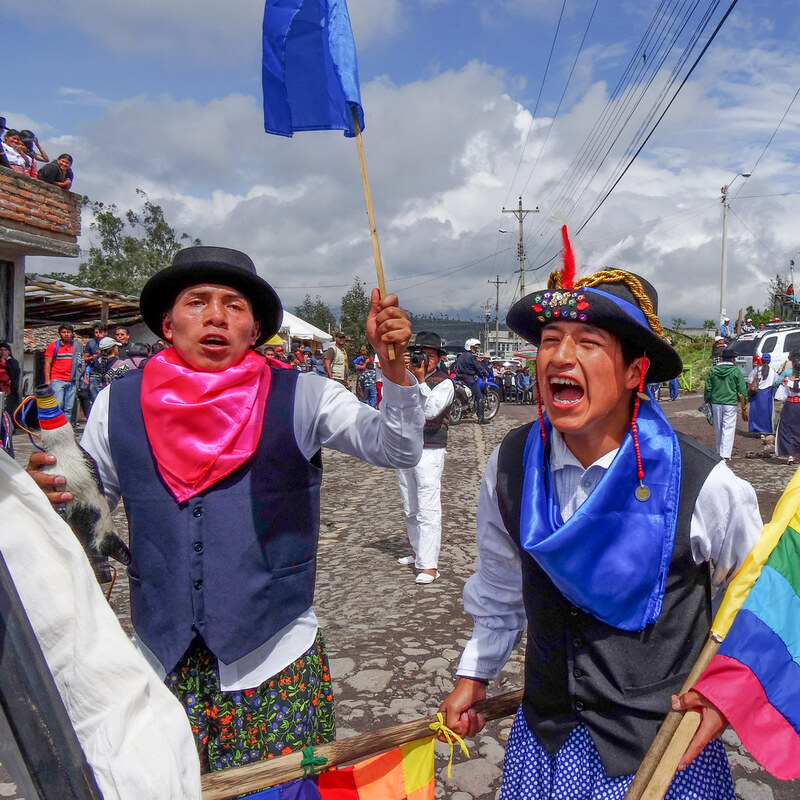 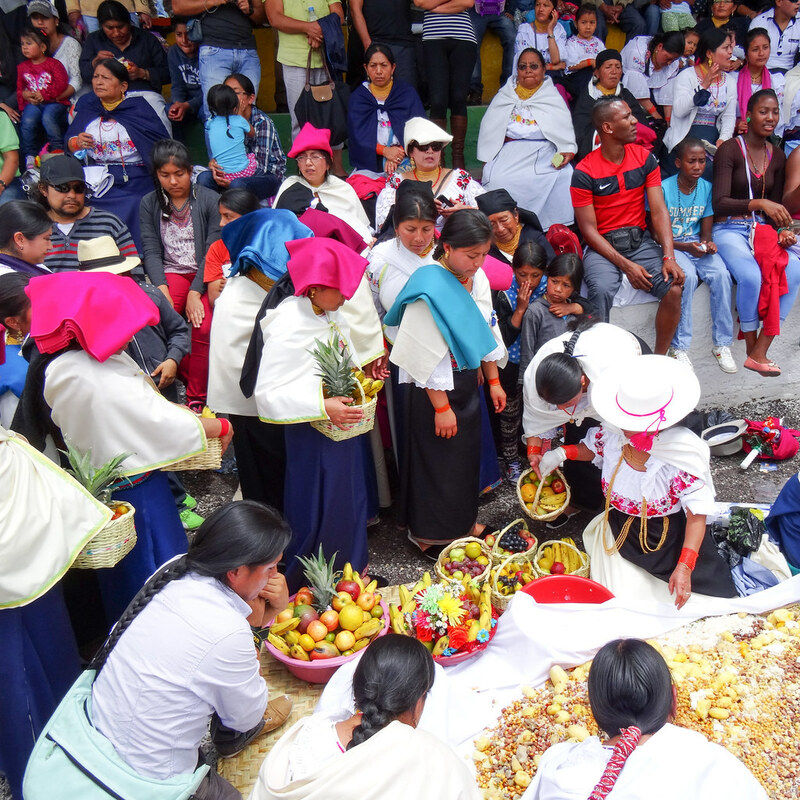 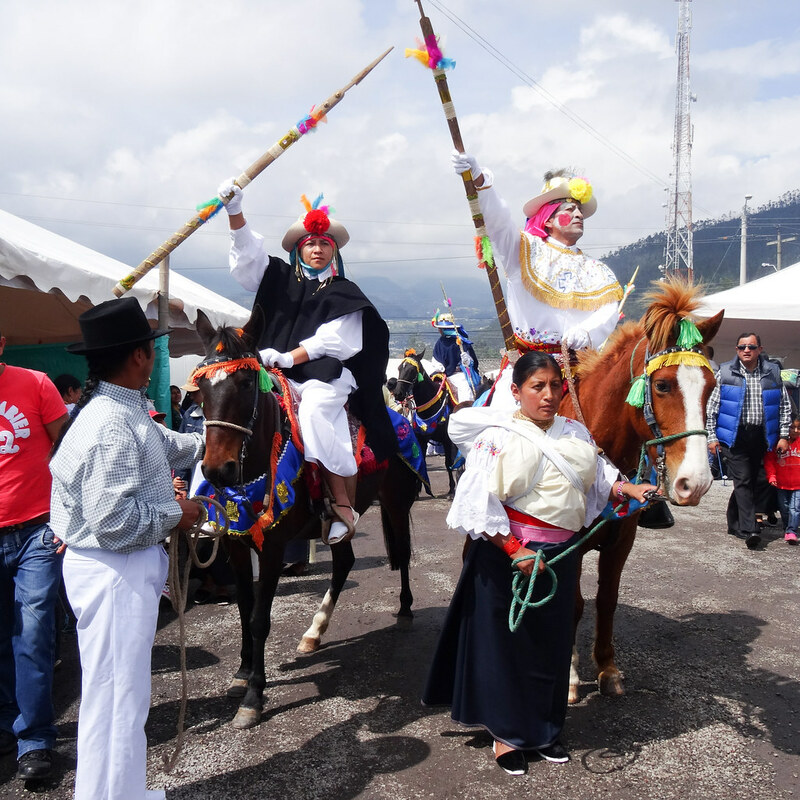 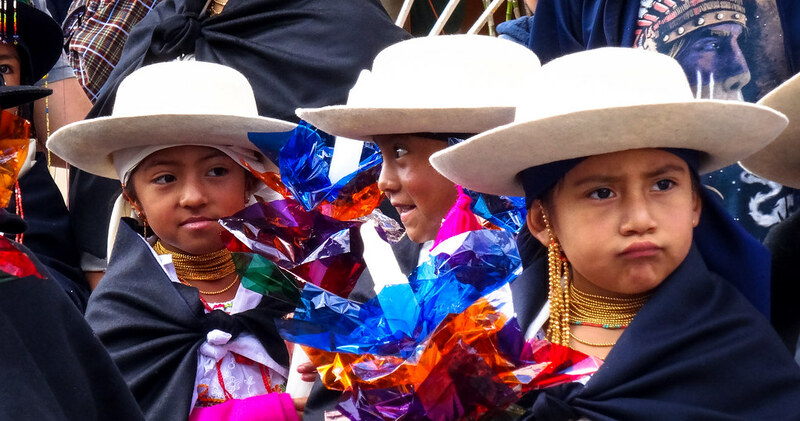 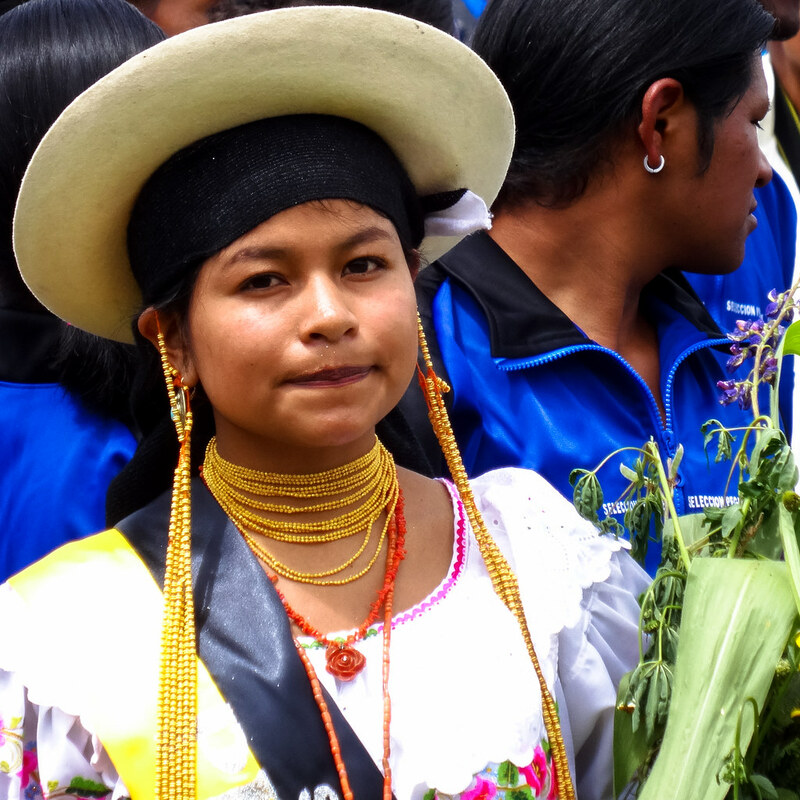 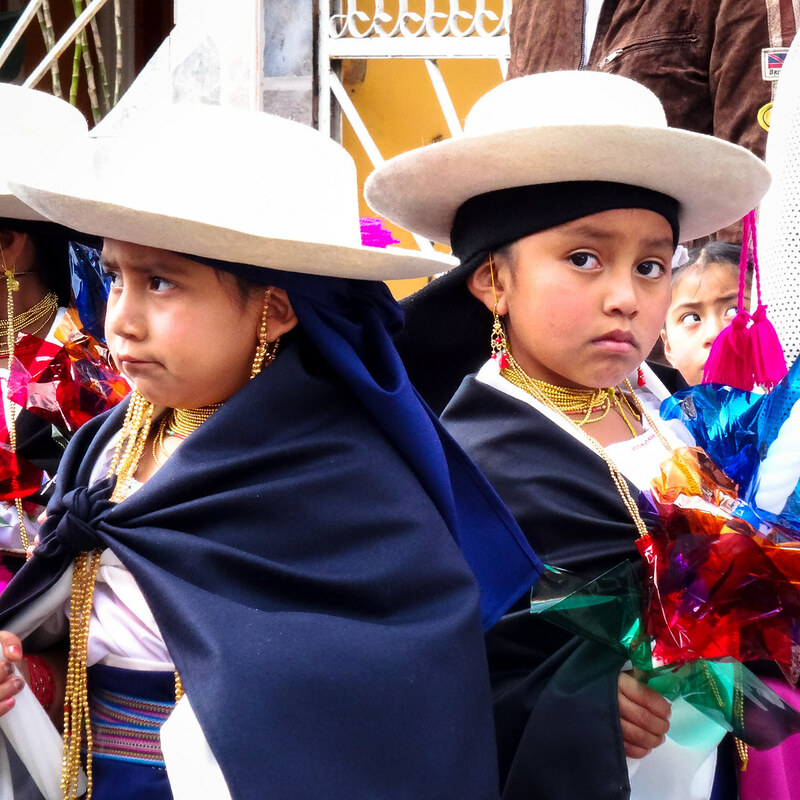 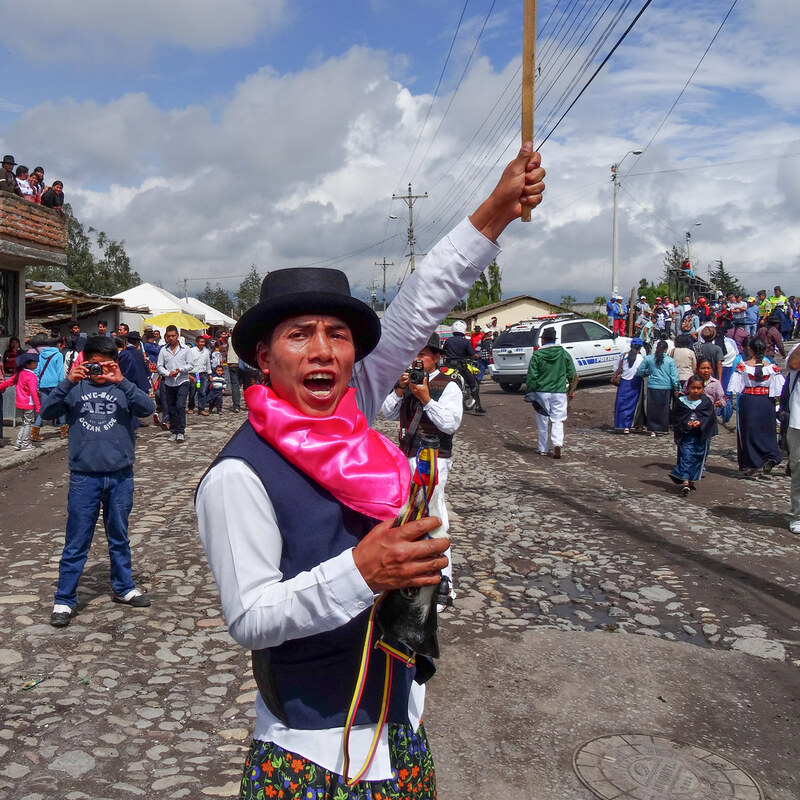 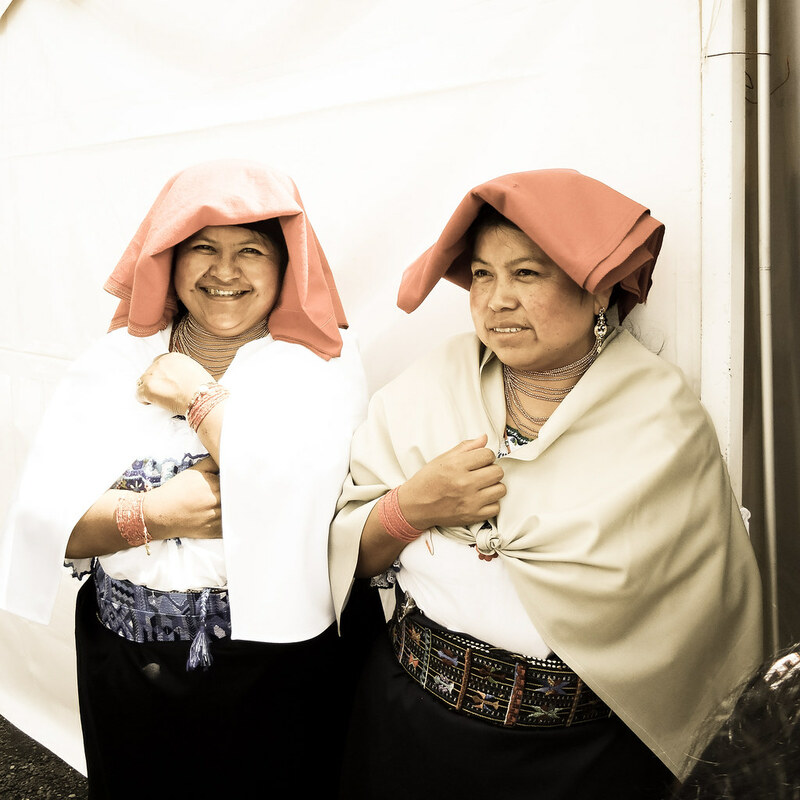 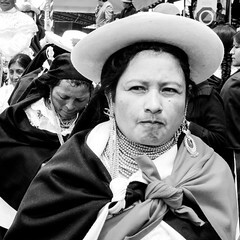 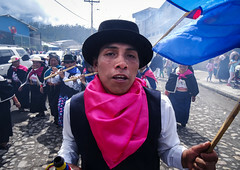 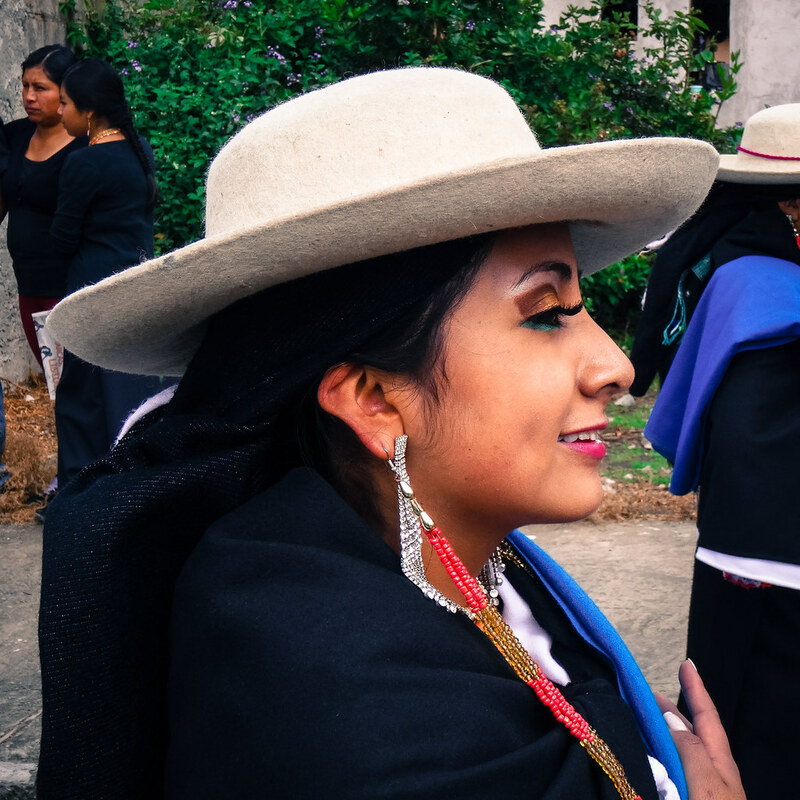 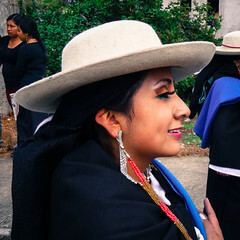 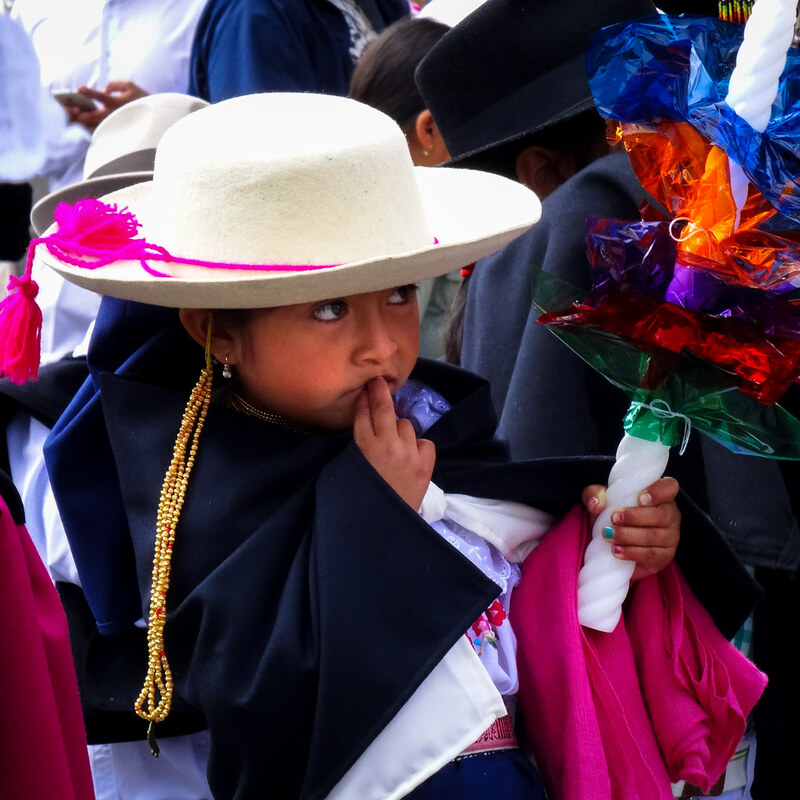 Investigating, it turned out to be part of a festival, called Pawkar Raymi, with groups in different styles of traditional clothing parading alongside more modern big bands playing versions of what I presumed were indigenous classics. 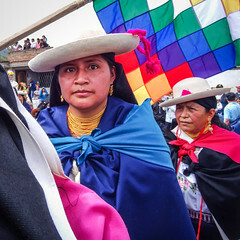 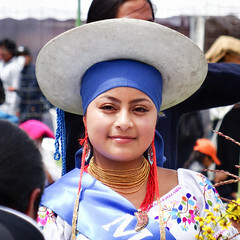 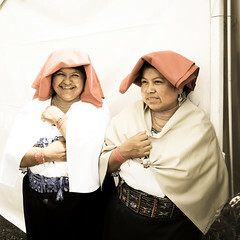 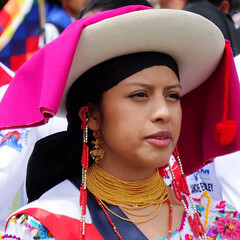 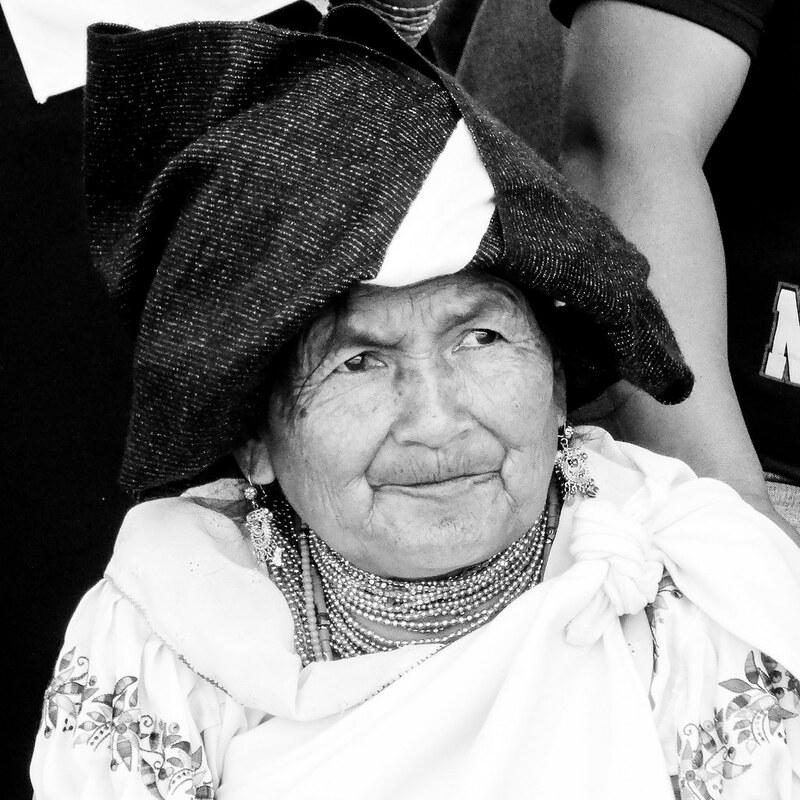 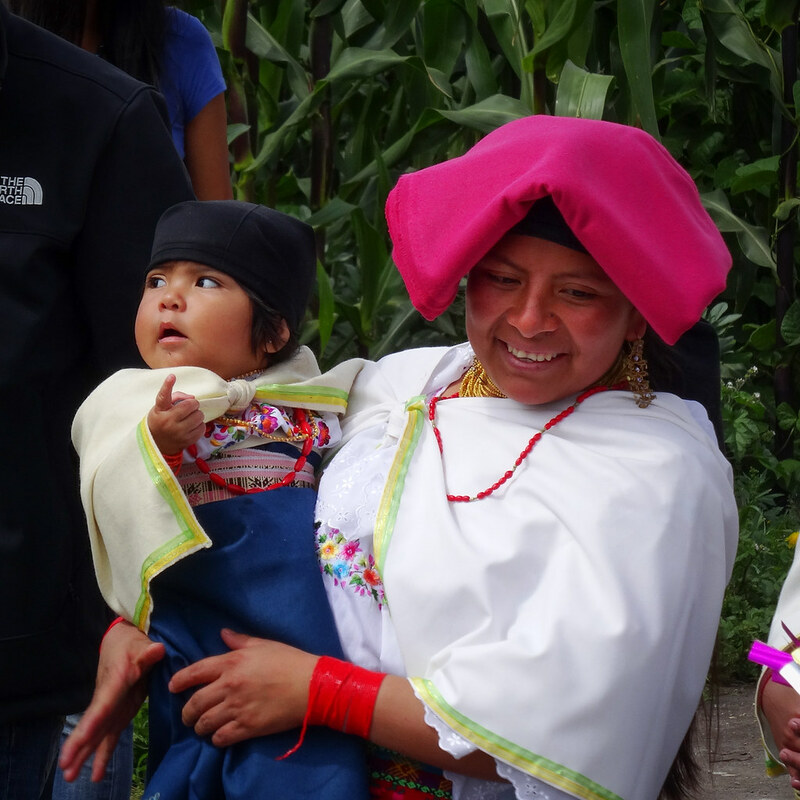 Here, part of traditional women's dress is carrying a brightly colored blanket, typically folded up and worn on the head, somewhat like a hat. 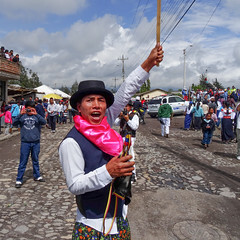 And, the country not for nothing having been named after the equator, even at 3000m altitude and a mostly clouded sky, whenever the sun brakes through the clouds, it's blistering hot. 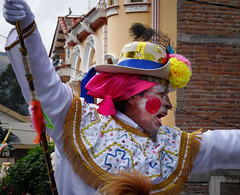 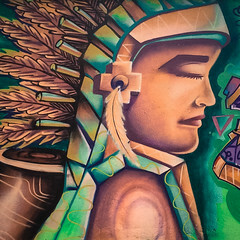 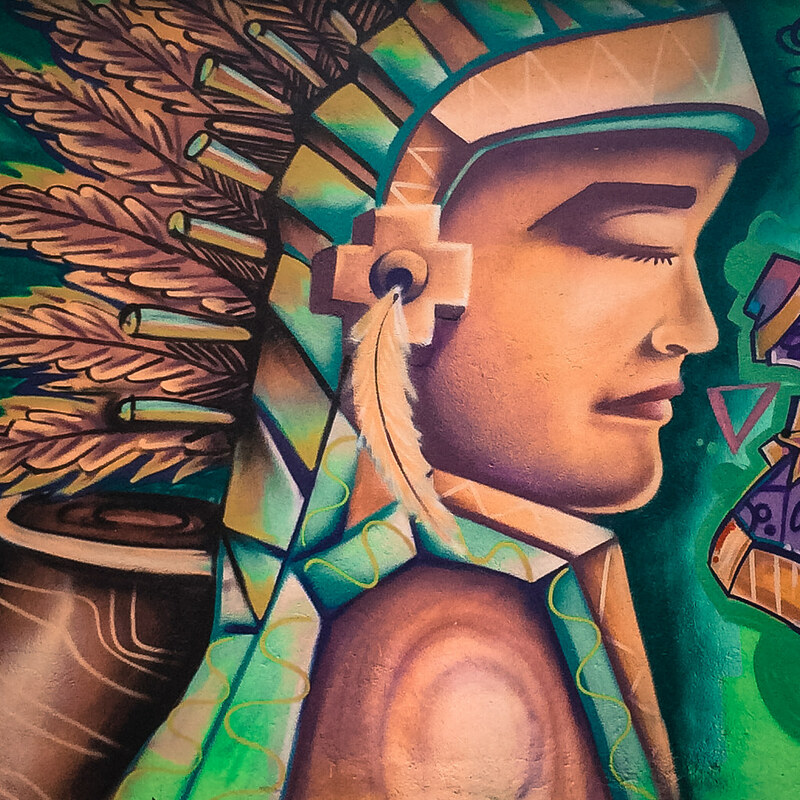 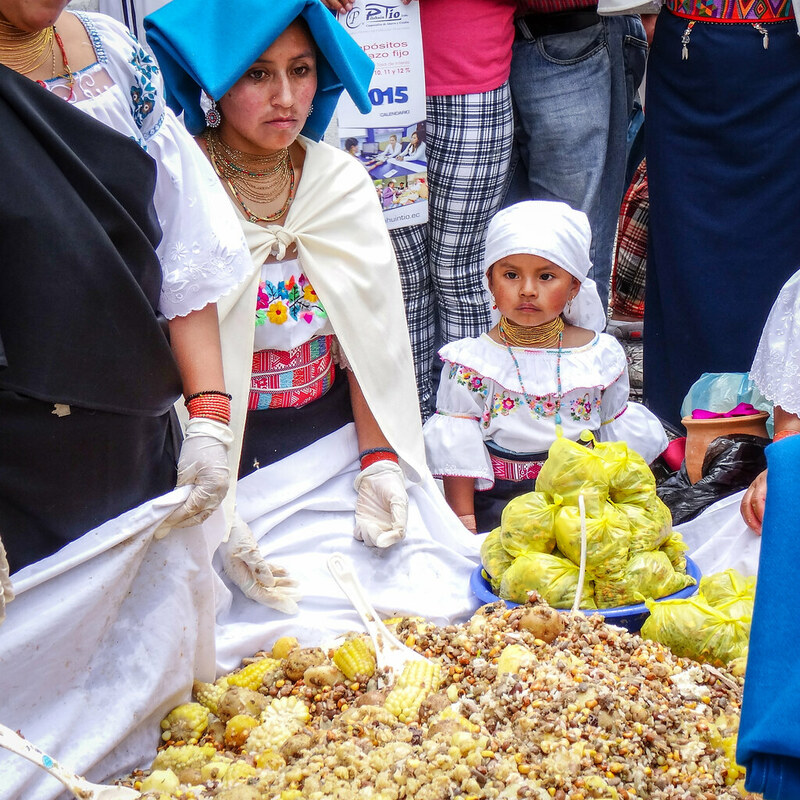 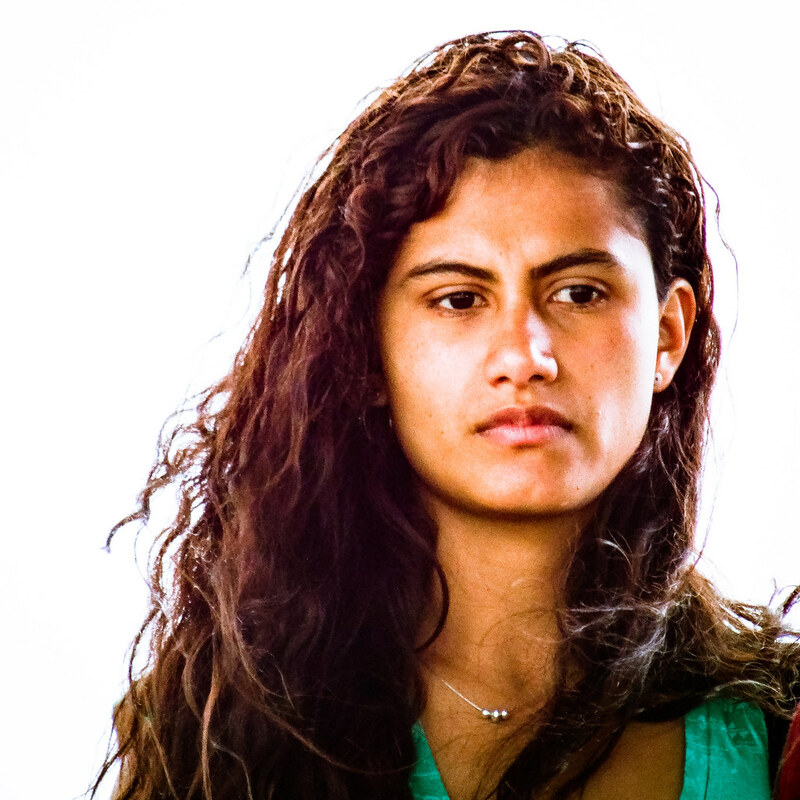 Otavalo is known for its arts and crafts market. 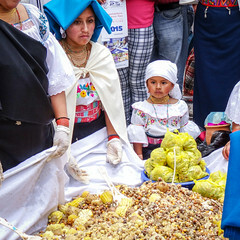 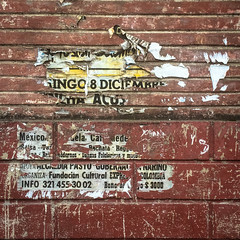 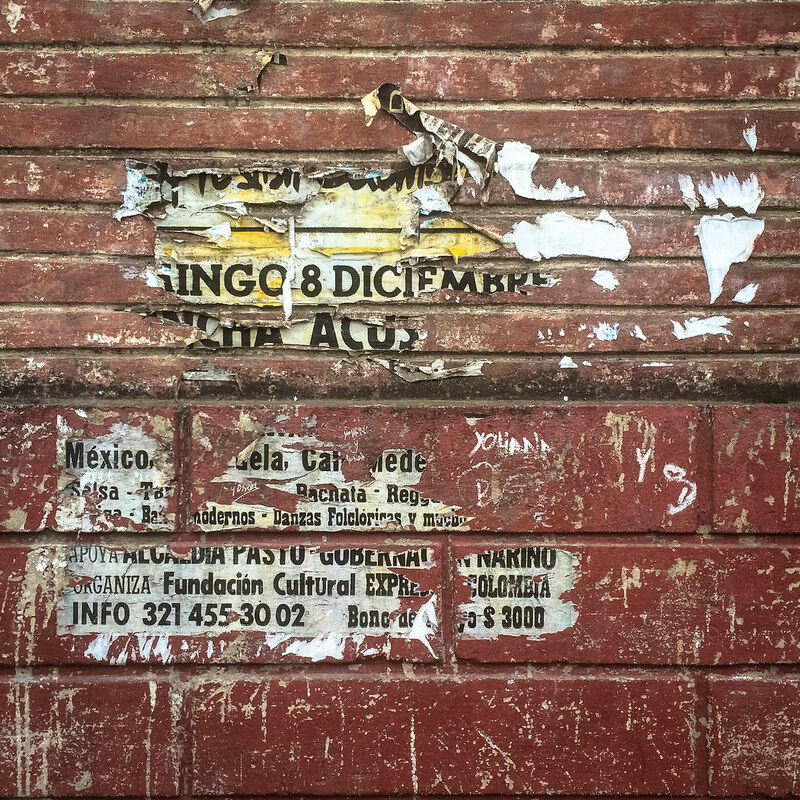 On the town's central square for seven days a week, on Saturdays, the stalls spill over into many of the side streets, combining into what's said to be the largest market in South America.